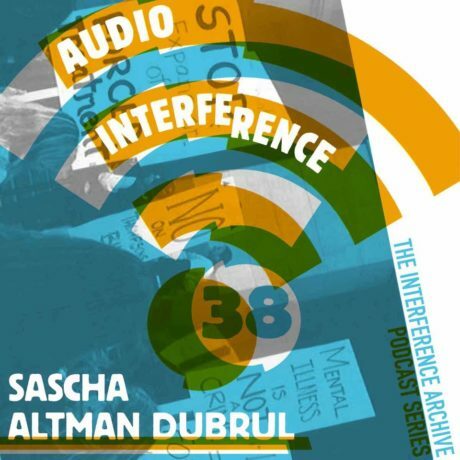 Questions of state and social attitudes towards gender and sexual violence have recently attracted widespread attention, spurred by everything from the attacks on women in Cologne early last year to the public outrage following the results of the Brock Turner case. 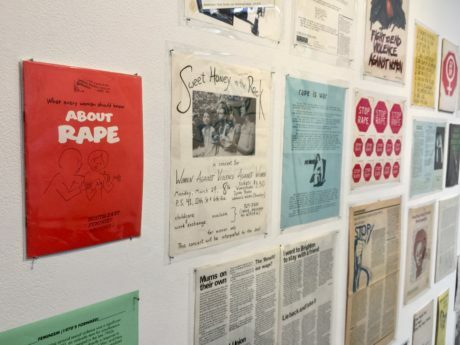 It’s within this context that New York’s archive of protest, the Interference Archive, stages Take Back The Fight: Resisting Sexual Violence from the Ground Up, an exhibition focusing on responses to gender and sexual violence, told through printed ephemera. 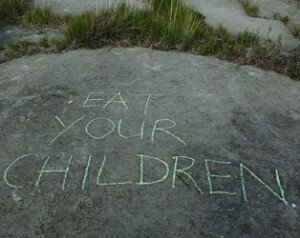 Join us for a screening of Eat Your Children followed by a conversation with filmmaker Treasa O’Brien. 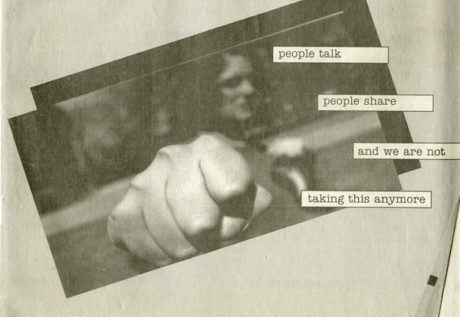 As part of the current Take Back the Fight: Resisting Sexual Violence from the Ground Up exhibition, Interference Archive is partnering with the Center for Anti-Violence Education (CAE) to host a Peer Educator Self-Defense Workshop. Youth Peer Educators from CAE will lead an exciting and participatory self defense workshop. 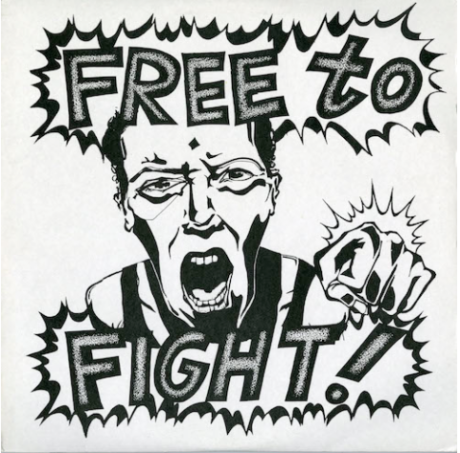 In this workshop, participants will learn how to protect themselves using physical self defense techniques, the power of their voice, and engaging in activism. This workshop is open to girls, transyouth, women, and LGBTQ+ identified folks and is limited to 20 participants. If you would like to participate, please RSVP. 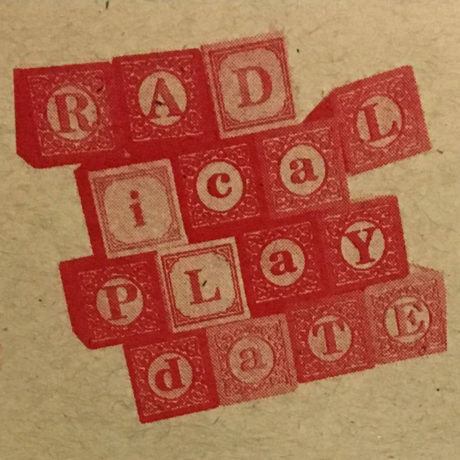 Radical Playdate has been in full effect since February 2017. So far, we’ve made a zine, we made stencil graphics, created a growing resource list of music and storybooks, and we even had a little music protest parade. Now, we’d like to talk more about how we can make Radical Playdate more “radical,” and to expand our all-ages community. If you’ve been thinking of showing up, now is the time to do that! Join the curators of Take Back the Fight: Resisting Sexual Violence from the Ground Up for a conversation about the materials included in the show, and the history of organizing against sexual violence. Movie night at the archive! 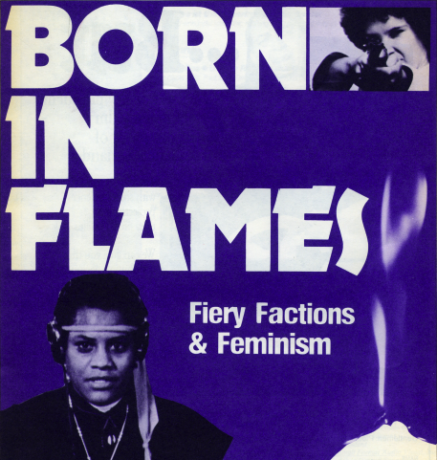 Join us for a showing of director Lizzie Borden’s 1983 film Born in Flames. Bring snacks if you like! 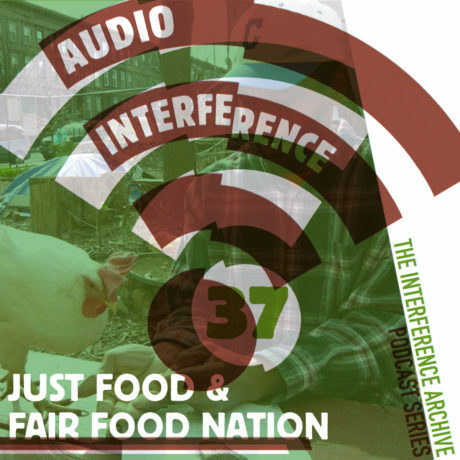 Join us for a critical look at Rikers Islands’ detention facilities, through the lens of both historic film and as well as the current organizing work of the Close Rikers Campaign. 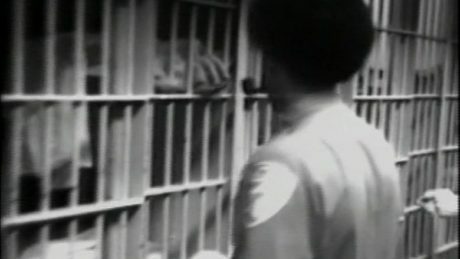 Filmed in the late 1970s inside the House of Detention for Men (HDM) on Rikers Island, Presumed Innocent (1979, Claude Beller and Stefan Moore) was created to provide a critical look at pre-trial detention conditions through the viewpoint of inmates, guards, judges, lawyers and other criminal justice officials. Following a screening of the film, the audience will have an opportunity to engage in conversation with filmmaker Claude Beller and a member of the Close Rikers Campaign for a discussion of historic and current work to raise awareness of conditions on Rikers Island.